How well placed is Australia for the digital revolution in agriculture? IN AUSTRALIA there is an increasing understanding of the potential opportunities promised by digital agriculture and its importance to the future of Australia’s food and fibre industries. Agriculture is a critical component of the Australian economy. In the 2016-17 financial year, agriculture was worth more than $63 billion, making up making up 3 per cent of Australia’s GDP, with exports accounting for over 75pc of this value. In the same year, food exports constituted 11.6pc of all goods exports. Looking forward, Australia is well placed to capitalise on growing global demands for food and fibre, especially from the Asia-Pacific region. Projections by Brookings in 2017 suggest the middle class of the Asia-Pacific region will be approximately 153pc larger in 2030 than in 2015, and will represent 65pc of the global middle class. Australia is proximate to Asia, already has established export channels and maintains a reputation for clean and high-quality produce. In coming decades it is likely the international demand for Australian agricultural products will increase, as will the significance of the agricultural sector to the Australian economy. Capitalising on this opportunity will rely, in part, on the development and adoption of digital agriculture technology solutions: The National Farmers’ Federation has forecast that by 2030, the value of Australian agriculture has the potential to increase to $100 billion. 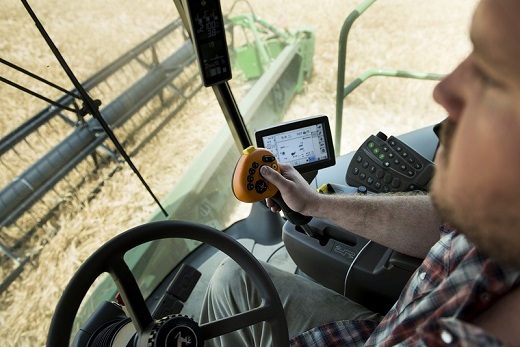 According to recent research from the ‘Accelerating Precision Agriculture to Decision Agriculture’ research project (P2D), gains from digital agriculture could increase the gross value of Australian agricultural production, including forestry, fisheries, and aquaculture, by $20.3 billion. This is equivalent to a 25pc increase in the value of agricultural production in 2014-15. These gains would also add $24.6 billion to overall Australian GDP. There’s significant value on the line for the agriculture industry in Australia. According to recent research, gains from digital agriculture could increase the gross value of Australian agricultural production, including forestry, fisheries, and aquaculture, by $20.3 billion ­— equivalent to a 25pc increase. The support ecosystem for innovation in agriculture, including (but not limited to) digital technologies, is rapidly maturing. Australia now has seven active accelerator and incubator programs dedicated to food and agriculture, including two with associated venture capital funds. Australian innovators are already producing world-leading digital technologies across a diverse range of applications in agriculture. Such innovations include CSIRO-patented virtual fencing technology, sensor and artificial intelligence-based microclimate forecasting systems, and cloud-based applications for scarce water management. Australian digital agriculture technology innovators are attracting capital as well. In December 2017, hyperspectral imaging start-up Flurosat raised $1.5 million, and in February 2018 AgriDigital raised $5.5 million for its blockchain-enabled commodity management system. Australia’s capabilities in digital agriculture technologies extend beyond the entrepreneurial and technology communities. For example, Australian farmers have a track record of successfully adopting technologies. Analysis from one of Australia’s big four banks, ANZ, has shown that an increase in access to technology since 1995-96, facilitated by a transition into larger scale farming, has led to a 62pc increase in output. In more recent years, the uptake in technology-related capital — including fixed assets, appliances, industrial and electrical machinery and equipment, and products based on intellectual property — has been growing at five times the rate of overall capital. Projections by the Australian Bureau of Statistics (ABS) show Australian farming is on track to increase its stock of technology-related capital by almost 42pc by 2030. Beyond historical trends, Australian farmers are optimistic about the prospects of digital technologies and innovations for their business. In an Agri Insights survey of 1400 producers conducted by one of Australia’s big four banks, the Commonwealth Bank in late 2016, 70pc of respondents believed available digital technology can add significant value to operations, while 20pc were looking to focus their financial investment in technology in the next 12 months. Self-described first adopters of digital technology made up 22pc of respondents. Governments in Australia are also contributing to the development of digital agriculture technologies. Investment analysis conducted by the United States Studies Centre finds more than $30 million has been delivered to digital agriculture start-ups between 2013-17 from a range of federal and state government sources. Government-led research is also playing a role. The P2D project, supported by funding from the Rural R&D for Profit Program and collaboration across all Rural Research and Development Corporations (RDCs), has been critical to understanding three key elements: the potential value that can be unlocked for Australian agriculture through the application of digital technologies; the challenges that hinder the adoption of digital agriculture technologies; and the need for a strategy to increase digital maturity in the sector. Momentum and support exist for an imperative to develop digital technologies for the benefit of Australian agriculture. There’s a historical culture of adoption of innovative technologies amongst Australian farmers, combined with an optimistic attitude towards digital technologies within the farming community and a growing awareness of the importance of these technologies exists within government at all levels. This is an excerpt from ‘Seeds of success: advancing digital agriculture from point solutions to platforms’. See full article here.